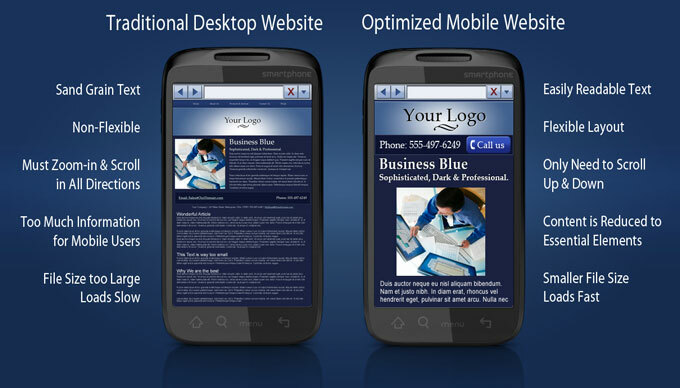 Mobile Friendly Websites make it easier for smartphone users to use your website. This is important because more and more people are browsing the web with smartphones. So How Do I Get A Mobile Friendly Site? For customers that want to make a mobile website themselves, the easiest way to accomplish this is use one of our mobile templates. Ask yourself "If I were my customer, what would I want from this mobile website?" Good things to include are: Hours of Operation, Address, and Contact Information, as well as any useful information about your business. It's also a good idea to make a link to the full site. EZ-NetTools has a really nice setup to help you make online coupons. Our QR-Code Creator can make linking to your mobile webpages a breeze.